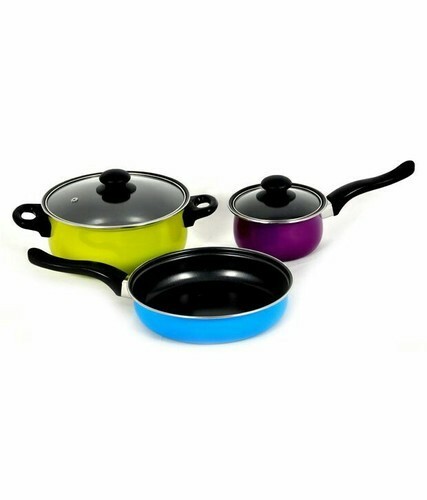 In order to keep pace with the never ending demands of customers, we are involved into offering wide range of Non Stick Set. Just Dream Innovation was established in the year 1997. Our company working as a sole proprietorship based firm. Our company’s headquarter is situated at Chennai, Tamil Nadu. We engaged in manufacturing, wholesaling and trading of Pressure Cooker, Induction Cooker, Gas Stove and more. These products are widely demanded amongst customers for their impeccable quality and reasonable prices. Total 1000 different products about home appliances are available. starting range 50 rupees.